As the nights draw in and the academic year 2018/19 begins, we are preparing to enter our second year of compulsory e-theses deposits. Our university repository, Apollo, is close to holding 6000 digital PhD theses and it is the intention of the University that this valuable research asset continues to grow into the future. The Apollo repository will play a large part in making this happen. Until recently only hardbound copies of theses were collected and catalogued by the University Library. Users could read theses on-site in Cambridge or order a digitisation of the thesis, but the introduction of e-thesis deposit to Apollo has meant that University of Cambridge theses are more accessible than ever before. It’s been an incredibly busy year and we have made some great steps forward in our management of theses in Cambridge. The e-theses deposit story at Cambridge started in October 2016, when the Office of Scholarly Communication upgraded Apollo to allow the deposit of theses and began a digital thesis pilot for the academic year 2016/17. 11 departments in the University participated in the pilot, asking their PhD students to deposit an e-thesis alongside a hardcopy thesis. Theses deposited in Apollo during the pilot could either be made open access on request of the author or were treated as historical theses had been up until that point, whereby hardbound copies were held in the University Library and requestors could sign a declaration stating they wish to consult a thesis for private study or non-commercial research. Following the success of the pilot, the Board of Graduate Studies, at its meeting on 4 July 2017, made the decision that from 1 October 2017 all PhD students would be required to deposit both a hard copy and an electronic copy of their thesis to the University Library. The experience of depositing theses during the pilot had highlighted some issues that needed addressing. We had to make decisions on how to deal with third party copyright, sensitive material, library copy and supply rules, and the alignment of access levels for hardbound and electronic theses. In response to this, we decided that we should think through each of the different ways in which a thesis could be deposited in the repository, and consider the range of contentious material that could be contained within a thesis. How do theses enter the repository? Whilst students that are depositing in order to graduate do this directly, we also have the capacity to scan theses on request here in the library, and these scanned theses are subsequently deposited in Apollo. In addition to this, we led a drive to digitise University of Cambridge theses held by the British Library on microfilm and gave alumni the option to digitise their thesis and make it open access at no cost to them. This year the OSC has made a bulk deposit of theses scanned by the British Library, which significantly augments the number of theses stored in the repository. In the culmination of a two-year project, nearly 1300 additional Cambridge PhD theses are now available on request in the Apollo repository. Prior to being made available in the repository, these Cambridge theses were held on microfilm at the British Library. They date from the 1960s through to 2008, when digitisation took over from microfilm as a means of document storage. The British Library holds 14,000 Cambridge PhD theses on microfilm; in 2016 they embarked on a project with the OSC to digitise ten percent of the collection at low cost – read more about this in an earlier post, Choosing from a cornucopia: a digitisation project. You can explore the collection in Apollo: Historical Digital Theses: British Library collection. The theses are under controlled access, which means they are available on request for non-commercial research purposes, subject to a £15 admin fee. We established that the level of access we could allow to the thesis could be determined by the route a thesis entered the repository, its content, or in some cases the author’s wish to publish. To address all of the potential issues, we decided to define a set of access levels which would determine what we, as managers of the repository, were able to do with a thesis and the way in which it could be accessed by a requestor. 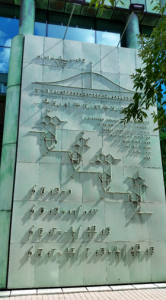 The access levels were put in action in spring 2018 and this was followed by a survey of Degree Committees, conducted by the e-theses working group consisting of members of the University Library and Student Registry. The survey asked for feedback on the suitability of the access levels for research outputs for all departments in the University; the outcome confirmed that the access levels were working and covered the options well, although a few tweaks were needed. In light of the feedback, a set of recommendations was put to the Board of Graduate Studies by the e-theses working group, and these recommendations were considered and accepted at their meeting on 3 July 2018, ready to be put in place for the 2018/19 academic year. At the same time as we were establishing our access levels, we were also working on devising an eSales process to facilitate the supply of theses under controlled access. Controlled access replicates the way that historical, hardbound theses were managed in the library, with the addition of an electronic version of the thesis being held in the repository, and follows the library copy and supply rules for unpublished works under copyright law. A thesis scanned by the library would be deposited under controlled access so it remains unpublished, but this access level is also available to students depositing their thesis directly. The eSales process we devised went live in July 2018 and this meant a large number of theses held in the repository were made more accessible, including those digitised by the British Library. As of 18 October, we have supplied 14 theses via the eSales route and the requests keep coming in at a steady pace. As we begin the 2018/19 academic year, our theses management is looking in good shape but we will continue to improve and refine our internal and external services. In consultation with the University’s Student Registry we are making the final changes to our deposit forms, access levels and communications and we endeavour to make this academic year the smoothest yet for e-theses management. University of Cambridge theses are more accessible than they have ever been. The collection will grow as more students deposit each year, and the valuable research of PhD students will continue to be disseminated. 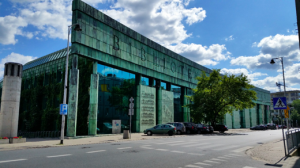 In this blog post, Clair Castle, Librarian, University of Cambridge, Department of Chemistry reflects on her experience at the IFLA Satellite Meeting 2017 in Warsaw, Poland. Earlier this year I was invited by the Office of Scholarly Communication (OSC) at the University of Cambridge to present a paper on Data Curator’s Roles and Responsibilities: International and Interdisciplinary Perspectives. This was my first time writing a paper for a conference and presenting it; it was slightly daunting but exciting too! IFLA is the International Federation of Library Associations and Institutions, the international body that represents the interests of library and information services and their users. It celebrates its 90th birthday in 2017. This conference was a pre-Congress Satellite Conference, taking place just before the IFLA World Library and Information Congress held in Wrocław, Poland, from 19–25 August. There were three sessions of four presentations in the programme – which includes links to every presentation. You can find most of the papers that were presented here. The main conference hashtag on Twitter was #wlic2017 (learn more about the 2017 and upcoming 2018 congress by following @iflawic). Data curation has emerged as a new area of responsibility for researchers, librarians, and information professionals in the digital environment. The huge variety and amount of data that needs to be processed, preserved, and disseminated is creating new roles, responsibilities and challenges for researchers and the library and information professionals who support them. The primary goal of the conference was to engage the international scholarly community in a conversation that led to a better understanding of these challenges, and to discuss the main trends in data curation and Research Data Management (RDM) practices and education. To ‘curate’ means to ‘take care of’. What resonated with me the most from the conference was the fact that while we are curating data we are curating people as well. We are doing this by changing research culture, evolving the profession, changing research (and research support) practices, doing outreach and advocacy work, and liaising with related university support services. The conference presentations returned to this theme again and again. I won’t discuss every presentation here, instead I will collate and relate the ideas that I found most thought-provoking. “Take … the textbook definition of entrepreneur: A person who organizes and manages any enterprise, especially a business, usually with considerable initiative and risk. Now, switch out the words “enterprise” and “business” with words such as “research” or “education”. This is the concept of intellectual entrepreneurship. It is the concept of taking risk, seizing opportunity, discovering and creating knowledge and employing one’s own innovation and strategies, with the ultimate goal of solving problems in corporate, societal or governmental environments. An intellectual entrepreneur … actively seeks out their own education … The philosophy of IE embodies four core values: vision and discovery, ownership and accountability, integrative thinking and action, and collaboration and teamwork”. I feel that this describes the role of data curators exactly: researchers and the people supporting them are planning data curation strategically and innovatively, acquiring the necessary knowledge and skills to develop it in their institution, and working to bring systems, services and people together to achieve their overall goal of managing data effectively. Zhang’s presentation ‘Data curators: A glimpse at their roles at the academic libraries in the United States’ mentioned the Association of Research Librarians’ Strategic Thinking and Design Initiative: Extended and Updated Report (2016) which estimates that the research librarian will have shifted from knowledge service provider to collaborative partner within the research ecosystem by 2033. In one example of this, librarians have shifted from providing a service support role to working with researchers to further open science: the FOSTER portal is an e-learning platform that brings together the best training resources addressed to those who need to know more about Open Science, or need to develop strategies and skills for implementing Open Science practices in their daily workflows. It provides training materials for many different users – from early-career researchers, to data managers, librarians, research administrators, and graduate schools. This reflects the self-education aspect of intellectual entrepreneurship. Many library science curricula around the world do not (yet) include an RDM module. Experienced librarians may not therefore have the necessary knowledge or skills to support RDM. Many data curation post advertisements require leadership, partnership, outreach and collaborative responsibilities but not a professional library qualification. Data curation posts have been repurposed from experienced librarian posts, taken up by new graduates, contractors, PhDs, or sometimes are joint appointments with different academic units. A review of the library profession with regard to RDM skills and knowledge is required to inform future education and training. Peters’ presentation ‘Reskilling academic librarians for data management services’ highlighted Lewis’ research data management pyramid for libraries (p.16). Areas of early engagement with RDM are situated at the bottom of the pyramid, and as you get to the top you can take on the world! Several speakers touched upon this: after all, IT underpins everything and IT support staff are often closer to researchers than librarians are. However, there may be a perception that data curation is not an IT role, per se. In another example of intellectual entrepreneurship, IT and data librarians can work together to provide research data support services: IT can bring UX (User Experience) skills e.g. design of systems, project management, and data librarians can bring their expertise in repository infrastructures, digital preservation, discovery and indexing methods for example. The IFLA Library Theory and Research Panel Data Curation Project identified the role and responsibilities of data curators in international context. One aspect of the methodology was to undertake a review of literature and vocabulary describing data curation roles (using a cool keyphrase digger tool! ), and analysing the content analysis of job advertisements (in 35 countries). They found varying terms to describe data curation (e.g. data stewardship, digital preservation, data science, and RDM, the preferred term). Outreach and advocacy to researchers was found to be an important aspect of roles, which again relates back to the theme of intellectual entrepreneurship. As I have mentioned, I presented my paper on behalf of the OSC. Since its establishment in 2015 the OSC has developed many services to support RDM at the University, including a central website, RDM training and support, and a data repository. It communicates with researchers and support staff including librarians and administrators across the University using a variety of methods. There is therefore a considerable amount of outreach into departments and faculties where research takes place. However, its resources are limited: it is not possible for it to deliver RDM training for example in every department or faculty in the University, especially on a discipline-specific basis. Most departments and faculties in the University have an embedded library service, which is discipline-specific. Librarians are in a key position to be able to collaborate with the OSC and their own researchers in developing and implementing RDM services locally. My paper presents a case study of how centralised RDM services have been rolled out in the Department of Chemistry, thus adapting the central RDM messages to discipline-specific needs. I describe how customising centralised RDM training to all new graduate students in the Department, being a member of the University’s RDM Project Group, and being involved in the OSC’s Data Champions programme has benefitted both the OSC and the Department. The conference taught me that the identity of data curators is constantly evolving. Does it even matter what we call ourselves? Whatever the term used to describe us, we have similar roles and goals, and need to equip ourselves for future challenges. The concept of intellectual entrepreneurship is worth exploring further as a way of empowering ourselves. The conference gave me a great opportunity to share and learn about RDM best practice from practitioners across the world. It reinforced for me the fact that we are all in it together, facing the same challenges and working together to come up with solutions. 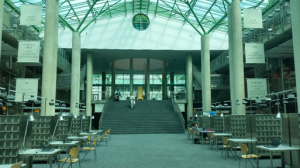 The conference took place at the very impressive University of Warsaw Library, which is centrally located beside the Old Town in Warsaw, right next to the Vistula River. Around 40 delegates attended from all over the world. Warsaw itself is a lively city, though with a rich, if at times tragic, history. After the conference dinner (a BBQ outside on a very warm evening!) we were treated to an entertaining evening bus tour around the city. 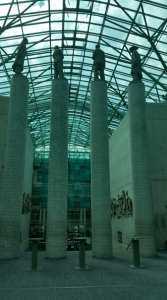 We passed the amazing POLIN Museum of the History of Polish Jews, travelled through the area where the Warsaw Ghetto had been, and took in examples of communist era architecture (in particular the imposing Palace of Culture and Science). The workshop was held twice, on Monday 10th April and on Tuesday 11th April. The audience on both days consisted of just over 50 people and were primarily library staff with a few publishers and some intermediaries. About half of the people both times had responsibility for hiring staff. The premise of the workshop was: The nature of academic libraries is changing dramatically. What is the role of the library in a wholly open access world? And what does this mean for our staffing? An IT or e-learning qualification is occasionally required. So this then raises the question: if Scholarly Communication is becoming an increasingly important part of the work academic libraries do then what do library degrees offer in the way of training in Scholarly Communication? A SCONUL report that came out in November 2016 – Developing the professionals of the future Views from experts in ‘library schools’ had views from seven universities offering library qualifications. Three did not mention anything related to scholarly communication (University of Ulster, University of the West of England, Robert Gordon University). Aberystwyth University and University College Dublin have new degrees in Digital Curation. Dublin Business School referred to “future library programmes” that “will incorporate modules such as the Research Librarian & the Librarian as Publisher to reflect new roles & activities in the sector”. Only City University London mentioned any scholarly communication specific topics: mentioned “research data management, repository management and digital asset management”. While not interviewed as part of this report, it is worth noting that the library courses at Sheffield University and UCL do incorporate units relating to scholarly communication. This paucity of inclusion of scholarly communication instruction flies in the face of a clear need. A 2012 analysis of job announcements identified ‘Scholarly communications librarians’ as a new role for health sciences. Two years later, a paper on scholarly communication coaching noted: “To successfully address the current needs of a forward-thinking faculty, the academic library needs to place scholarly communication competencies in the toolkit of every librarian who has a role interacting with subject faculty.” Five years ago, RLUK published a report Reskilling for Research which identified high skills gaps in nine key areas. For those of you interested in this topic, the blog Changing roles and changing needs for academic librarians is a literature review of research on the issue of training for librarians. The activity part of the workshop started with the room breaking into groups of four. Each group was given paper copies of a job description. The job descriptions were also available online in a GoogleDoc. The 29 job advertisements have appeared in my in-box over the past two years and were for roles based in the UK that incorporate some aspect of scholarly communication. The participants were asked to identify from the job description the specific knowledge or systems that were being requested, the types of generic library skills the job description was asking for and the type of person they needed. Attendees were asked to complete an online table, although post-it notes were available for those who preferred. I later transferred these responses into the document. The groups then were asked to reflect on their analysis and to have a short discussion together considering whether these were the kinds of skills, knowledge and people they are currently employing or working with? They were also asked to discuss the appropriate training source for certain skills and knowledge. We then opened the floor. The discussions around the way Scholarly Communication has developed were interesting. In several cases the library only had a copyright person by chance (someone happened to have that knowledge). In others an individual’s interest became a ‘thing’ that then needed to be recruited for because it becomes core. The impression was that it is only very recently that libraries have started seriously thinking strategically about staffing for Scholarly Communication. There was (not surprisingly) some defensiveness about library qualifications. One person said “Library schools can’t churn people out with these skills because they are always changing”, and another noted that “Learning is episodic – one time learning won’t set you up for your career. These are jobs that don’t even exist yet. They should be teaching critical thinking”. These positions are both correct, however these are not new skills. Repositories have been around for over 12 years. Another comment echoed this “Things are changing and developing all the time. What you learnt in year 1 of your qualification might be completely irrelevant by the time you do the job.” Courses should lay groundwork and be around flexibility and adaption as much as the knowledge. The suggestions for new kinds of skills it would be useful for graduates to have included: working as part of a team, advocacy skills, liaison skills, communication, resilience, flexibility, critical thinking and the ability to adapt. One participant suggested it would be more useful to teach librarians customer service skills or relationship management. It was agreed that the university courses need to balance the base information with other types of skills and knowledge. A component of the RLUK Strategic Priorities 2014-2017 is ‘A Creative Community: Nurturing leadership, innovation and skills throughout our libraries’. This was intended to be implemented by working “with Information Science schools to shape both CPD and professional training for students, fitting them for the challenges presented by modern academic libraries and the changing landscape of higher education”. However training opportunities remain scarce. In the past couple of months, very few have been advertised. A bibliometrics course in Chicago (at great expense), a digitisation course, a course on licensing, and a catch-all on open access and open science all in London were the only courses I could find at short notice. There are some options for the keen. The ACRL Scholarly Communication Toolkit is full of good resources and FOSTER offers Key Skills for Open Science and Responsible Research and Innovation. There is even a MOOC on Scholarly Communication. 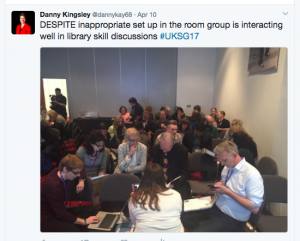 Indeed much training in the area of scholarly communication occurs at conferences such as UKSG. This is slightly problematic, because each individual’s experience of the same conference can differ widely. It is also difficult to demonstrate value. It is not usual to walk into a job interview with a list of the conferences you have attended. There is also the problem of some employers not recognising the essential nature of attendance at conferences due to the perception they are ‘a bit of a jolly’. Anyone who has prepared a presentation, presented, live tweeted from that presentation, taken notes during other presentations, kept up a twitter feed on the conference hashtag, ensured the email inbox is not completely out of control, connected with all the colleagues you need to network with and written up blog posts about the event afterwards will tell you this is not very jolly at all. Change librarians or change the library? This discussion touches on questions about where librarians see themselves. There is some movement away from the ‘handmaiden’ role towards being a co-investigator. A recent informal question on a discussion list in the UK raised some commentary about what Scholarly Communication was. Half of the libraries who said they were offering services in areas such as open access were calling this ‘research support’ rather than Scholarly Communication. In some instances this was a deliberate choice because they saw Scholarly Communication as driving change and they didn’t wish to be associated with that agenda. 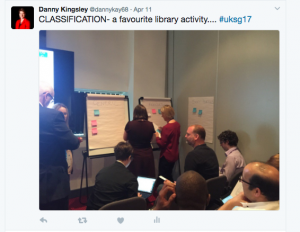 At the UKSG Forum last year Dr Sarah Pittaway presented “When is a librarian not a librarian?” where she argued we need to broaden our definition of ‘librarian’. Diversity is beneficial, she argued. Recently at the RLUK conference the issue of people working in libraries identifying as ‘not a librarian’ was a hot topic of conversation. Training existing staff in the area of Scholarly Communication is not just going to be culturally difficult. It is nigh on impossible in the absence of training opportunities. At Cambridge we have employed a staff member whose sole job is to address the knowledge and skills gap with our library community through the Supporting Researchers in the 21st Century and Research Support Ambassadors programmes. The participants were then asked to break into their groups again and discuss what the implications of the situation were for hiring processes, current staff and their own practice. In terms of the recruitment process, a suggestion was that we should be looking at job descriptions and regularly review them to ensure they stay up to date – to give the opportunity to adapt and change. We also need to be placing our advertisements in different outlets to the ones that are traditionally used by libraries. There needs to be a relaxation on the need for a library qualification, particularly for people who have years of experience in a related field. It is unlikely someone like that would spend five years getting a new qualification. One person noted they were going to do a course last year, but CILIP said that it was an academic qualification not a professional qualification, so they abandoned it. One person observed that “CILIP is the elephant in the room here”. Another noted that it is possible with CILIP to be an associate or chartered with a significant portfolio. There was the observation that the requirement for library qualification is moving from ‘essential’ to ‘desirable’ in job advertisements, and some are just asking for experience. One participant said that increasingly library qualifications are less relevant. The question about learning on the job came up several times. This was widely seen as being the best way, however it causes huge operational issues because of the sunk cost of the staff doing the training. It also implies that everyone is coming in at entry level. One person said they recruit “and there is not a lot of staff out there – it is a significant lack of knowledge. They have to go on a steep learning curve.” One solution for this was a person who hired three part time people to give jobs for year to develop the skills sets. There was some concern during one of the discussion that the term ‘legacy’ staff had a connotation. In some cases their situation was not of their making. “If there are no opportunities internally then it is limited. Staff can be retrained. Make the best of who you have got”, was the argument. However another person noted that they had had to change job descriptions to get to a point that we can get the kind of person we want through recruitment. One participant noted that the discussion was very familiar because they had been an e-resources librarian, which was a massive transition. They didn’t feel qualified, got more training from the job and from a graduate traineeship. Their concern was that we were losing the battle again in scholarly communications and library skills have not caught up again. Another observation was that library schools have narrow attitudes and it is difficult to teach skills in curiosity. This is an argument against a formal route. They also suffer from a conflict of interest because of the need to ensure a number of students – there are economic considerations. It has taken me some time to get to the point of ‘going public’ on this issue. Anecdotally I have heard time and time again the dissatisfaction of librarians with their library degree. But the plural of anecdote is not data. In an attempt to gather some evidence about where people working in scholarly communication have come from, the Office of Scholarly Communication sent out a survey in September 2016. The hypothesis was: there is a systematic lack of education on scholarly communication issues available to those entering the library profession. This is creating a time bomb skills gap in the academic library profession and unless action is taken we may well end up with a workforce not suited to work in the 21st century research library. We received over 500 responses to the survey and we are in the process of employing a researcher to analyse findings, but initial findings show that many people working in scholarly communication come from outside the library sector. Bringing this discussion to UKSG has been very instructive. It is still anecdotal but there are significant numbers of people who feel angry about the time and expense they have had to invest in what has been a ‘useless’ degree. But the conversation has begun and there is the intention for several bodies in the higher education area to work together to find a solution to this looming skills gap.